The 2019 China-New Zealand Year of Tourism is officially kicked off with an aim for China and New Zealand to strengthen economic ties through tourism. Enterprise Rent-A-Car UK has signed an agreement to acquire Romsey-based SHB Hire, an award-winning family-owned vehicle hire and management business. Hawaii Tourism Authority announced tourism statistics for February 2019. Turkish Airlines will launch flights from Istanbul to Mexico City and Cancun in August. 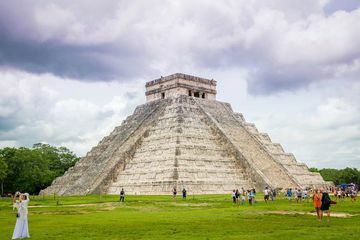 The flights expect to increase tourist flow to Mexico not only from Turkey but from Europe, Middle East and Africa since the Turkish carrier flies more international destinations than any other carrier on earth. When Helen Mirren walks into her home as Catherine the Great in the new HBO mini series named after the famous Russian Empress, she’s not really in the actual rooms of the famed Tsarskoye Selo palace just south of Saint Petersburg. She’s actually in the historical Vilnius University Library in Vilnius, Lithuania. In a resounding demonstration of Asia’s growing power and influence on the world stage, Japan, Singapore, and South Korea now hold joint top spot on the Henley Passport Index, with a visa-free/visa-on-arrival score of 189. After ten years establishing themselves as the premiere provider of gay adventure tours, Out Adventures has launched the world’s first Gay Mystery Expedition. It’s the most unusual and exciting trip the company has ever produced.